I just LOVE everything about the Spy Girl series. I love the main character Huntley, I love the mysterious plot line and every ounce of suspense that comes with constantly trying to figure out the the end game. It's utterly addicting. The Phoenix dives right into the continuation of Huntley's story and honestly it never slows down. Major plot lines are revealed, character identities are answered and the mystery still continues. It's like solving a puzzle and this book gives you almost all the pieces but in the end it's really just enough to keep you coming back for more. Huntley's strength and passion continue to amaze me. She has grown so much as a person, not only does she follow her instincts but she hardly every jumps to the wrong conclusion. She is very careful to examine things from all angles before making a decision, but what if even after doing all that she still doesn't see the end game? What if she isn't able to save Montrovia? Part of me wonders if at the end of this mission the real lesson was learning one person alone cannot be responsible for Montrovia's safety but instead it comes from trusting the right people, depending on the people you love and working together? It's just one theory running through my mind as to what we will find in book #7. 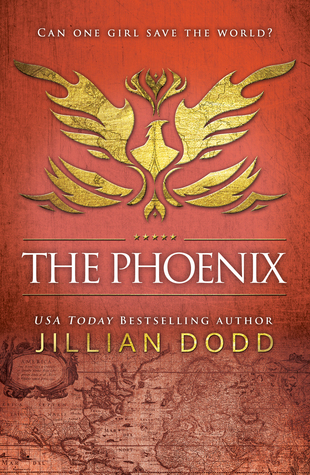 Jillian Dodd throws us readers some serious curve balls with The Phoenix. The rumors are all true - yes this book ends on a cliffhanger, yes characters die and yes you will be nervous about book #7 because I have real fears things are going to get even worse for Huntley before this mission is over. This series is awesome, full of interesting characters you will find yourself wanting to live vicariously through and mystery in spades! Thank you Jillian for this guilty pleasure, I for one love it!! Meghan March the queen of twists you never see coming! 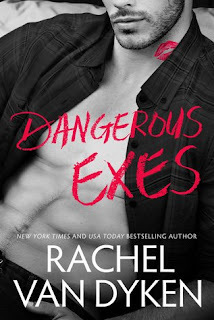 How is it possible one author can continue to surprise me with the twists and turns of every single plot in every single book she has written? Nevertheless I love it and I'm going to keep coming back for more and more. I mean clearly Whtney and Lincoln are going to end up together - they are destined to be together. That much was obvious and the journey in all three of the books in this series never for one second disappointed. What I loved so much about the final installment is we finally get to see Whitney and Lincoln actually team up, trust one another and truly fight for their own HEA. It was pure perfection. Their characters have grown, evolved and they've finally realized they are stronger together than they are apart. I'm also going to commend Meghan's ability to cross over character's from other series into each other. No one else I've ever read has been able to do is as seamlessly. This series isn't just a second-chance romance. It's so much more. It's drama and chaos with twists and turns. Kind of like a soap opera where characters lie to one another, where you believe one person is so good only to find out you really don't know them as well as you think you do. It truly encompasses all aspects of family relations from love and protection to drama and surprise. 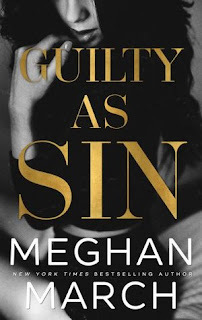 I could go on and on but Meghan March's books are the kind of stories enjoyed best when you go into them with as little knowledge as possible. Just one click, sit back, get sucked into the story and let you own reality slip away. 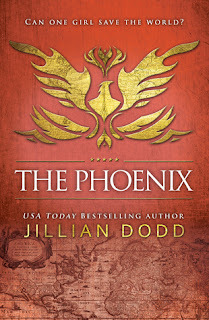 From USA Today bestselling author Jillian Dodd comes the fifth book in a sizzling series filled with action and adventure. Fans of The Selection and The Hunger Games will discover a heart-pounding thrill ride of espionage and suspense set in glittering high society. Thank goodness this book is finally out! I have a love hate relationship with cliff hangers. I love how they leaving me wanting more while at the same time find myself frustrated with having to wait what feels like forever for the next installment to release. I couldn't wait to jump right in and see what would happen with Lorenzo and Huntley now that the Queen announced, without warning, an engagement between Lorenzo and Lizzie. Secretly what I most hoped were these two characters wouldn't go back to square one. I really didn't want to see their character regress. I won't give it all away but I'm pleased to say not only was I not disappointed but I really think Lorenzo and Huntley managed to strengthen their bond. While the pace of this book never slows down I found myself reading slower than my normal pace. Partly due to wanting to savor my time with these characters and partly because I found myself even more engrossed with the "spy" part of the story. I think in some of the previous book within this series I've felt lost or even overwhelmed but I think having Huntley go "rogue" and work through all the details in her mind helped me get a better grasp of all the different players in this mission. 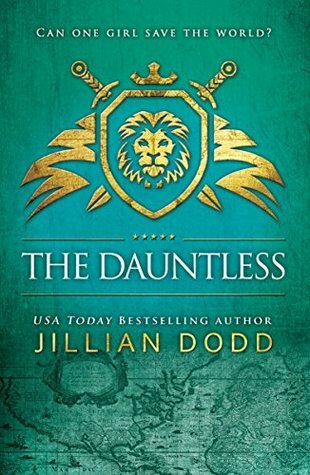 The Dauntless is a page-turner filled with lots of surprises, and honestly a lot of love and I'm not just talking about the romantic kind. Boundaries are established and then their pushed. We're introduced to a new character and we even get to know a couple of regular ones on a deeper level. You're constantly trying to figure out who can be trusted, whose the enemy and what's their end game. Of course by the time you reach the end you're left with another pretty crazy cliffhanger - one I never even saw coming. But it's one I think is going to take this series to the next level. Well done Jillian Dodd! I don't know how you keep dreaming up these stories but I hope you never stop! 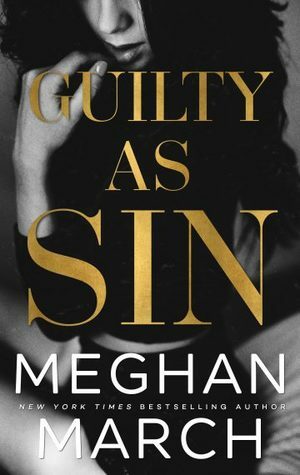 If there is one thing Meghan March is an expert at, it is getting you hooked from the beginning of a book. Richer Than Sin is no exception. From page one, I was in deep. Richer Than Sin is told in alternating POV from Lincoln and Whitney and is also told in the present and past. Not many authors can seamlessly do that, but no surprise, this book flowed perfectly. Whitney Gable is such a relatable character. She left her small town to escape and live the dream, but now is coming home and wants to hide from the world. She has such great qualities but can't seem to see them in herself. And her past isn't helping. Lincoln Riscoff and all Riscoff's for that matter, are her sworn enemies. Think Hatfield and McCoys, they can't be friends and they certainly can't be anything more. But there is always an underlying attraction. Lincoln is set to inherit his families multi-million dollar lumber company, assuming his grandfather actually leaves it to him. He has proved his worth time and time again, but he won't give his grandfather the one thing he wants-an heir. Why? It's complicated to say the least. But when Whitney Gable heads back home, all bets are off. Whitney is the one that got away, but she won't get away this time if Lincoln can help it. 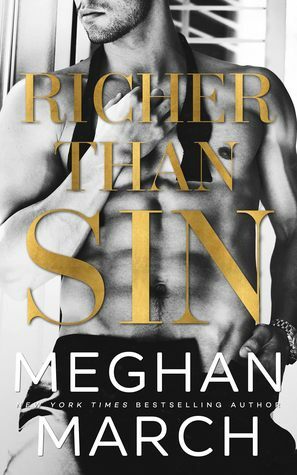 Now, if you're a fan of Meghan March, you know that this book ends on a cliffhanger, that is her style and I love it. Except for when I have to wait to read the next book. I cannot wait to see more of the Sin series when the next book releases! Run, don't walk, and get this book NOW. You will love it! I have loved every Eagle Elite book, however, the last one was lacking something for me. Maybe it was because I was so upset for the character. I am not 100% sure, but I almost did not want to read this one for fear it would make me not want to keep going. 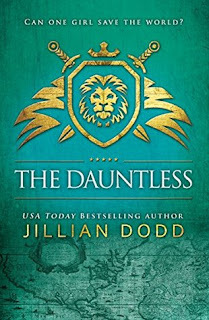 I am so happy to say that this book reminded me so much of some previous EE books that I am excited to read the next one! Vic is Nixon's cousin and swore an oath to protect the 5 families. The oath included celibacy and that he would never have a family. No big deal at the time, and he has become the best bodyguard for the EE families. Until the Nanny comes into the picture. He is so screwed. Renee Cassani knows her dad is part of the mafia and can't wait to escape this life when she finishes her final year of college. All she has to do is make it through her summer job, being a nanny to the scariest mobsters around. Shouldn't be hard, right? I really enjoyed the character development of Vic and Renee. Their story is fun and somewhat light hearted compared the the previous book and that made me happy. But it also lays the groundwork for the next book in the EE series. While I enjoyed this story and am looking forward to the next one, I am unsure how many more books will continue to work for this series. I love it and part of me doesn't' want it to end, while the other wants it to end before more characters I love die. 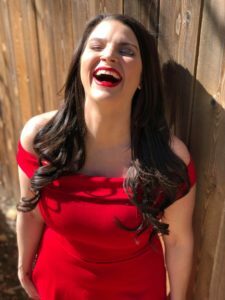 One thing is for certain when you start a new Colleen Hoover book, she’s going to take you on a truly one-of-a kind unique experience. Her stories’ originality continually blow me away. I feel like if I go into too much detail with this review I’m going to ruin the experience for anyone reading this review so please bear with me as I try and explain my thoughts on this gem! 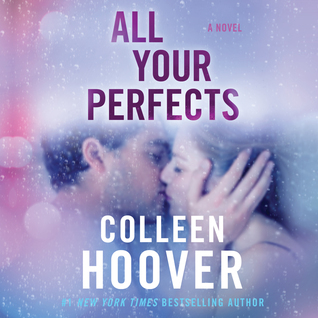 All Your Perfects is told from our heroine Quinn’s POV. Throughout the entire book one chapter is told from the past and the next in the present. Quinn isn’t going to be an easy character for a lot of people to like. Her story is absolutely devastating and there were so many times when I wanted to scream open your mouth, say something, do anything, and just take a baby step. But in that same breath I could empathize with her. I got her struggle, I was able to even sympathize with her obsession. It literally broke my heart, there were points I honestly wanted to put the book down because I was so sad but at the same time I needed to know how her story was going to end, so I waded through the heavy emotions and pushed forward. Quinn is one of the most real characters I’ve ever read about. Graham our hero is the entire package, talk about a beacon of light. He fully encompassed romance, sensitivity, humility, grace and determination. He loves his wife and is prepared to do whatever it takes, even if it means losing her completely in order to put her happiness above his own. In the end when the contents of “the box” were revealed I was completely blown away by his honesty, sacrifice and pure love. I have to say it was my absolute favorite part of the entire book! Quinn and Graham’s story from beginning to end was incredibly well executed and packed full of honest, real, and raw emotions. It’s a genuine story with what I consider a perfectly designed ending. All Your Perfects may not be a story I read time and time again, but it’s a story that left an imprint on my heart I won’t soon forget. If you have read the first two books in this series, you've already been introduced to Wyatt Shaw. I loved his character in the other books and was excited to see more of him in The Problem with Him. As you remember, Wyatt has taken over the Executive Chef role at Lilou since Killian and Vera are opening their own restaurant. The Wyatt that is EC is totally different that the other books. He is more stressed out and is having a hard time finding time for everything. And he is a tyrant to his staff, especially his Sous Chef, Kaya Swift. But there is more to this tyranny than meets the eye. Kaya is from a small NC town. I relate to that aspect perfectly since I am from rural NC as well. But she dreams of more out of her life that the ideal small town life. She is driven and passionate about food. And she is a dang great chef and she knows it. She is jaded and feels like she should have been given the opportunity to be EC at Lilou as well. And she hates Wyatt Shaw. He makes her life miserable. This book was really well written and I enjoyed the sparring matches between Wyatt and Kaya. The drama was really to a minimum and there was a good pace to the book that felt like it was worth savoring. 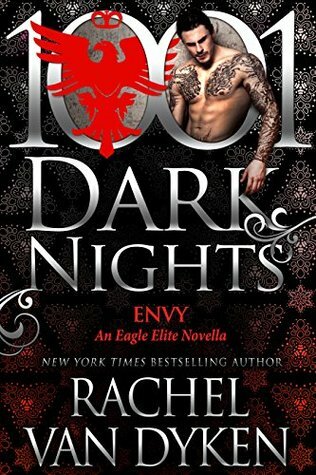 While I did not love it as much as the first two books in the series, you really can't go wrong with anything Rachel Higginson writes. So go ahead and one click this one, you will really enjoy it.